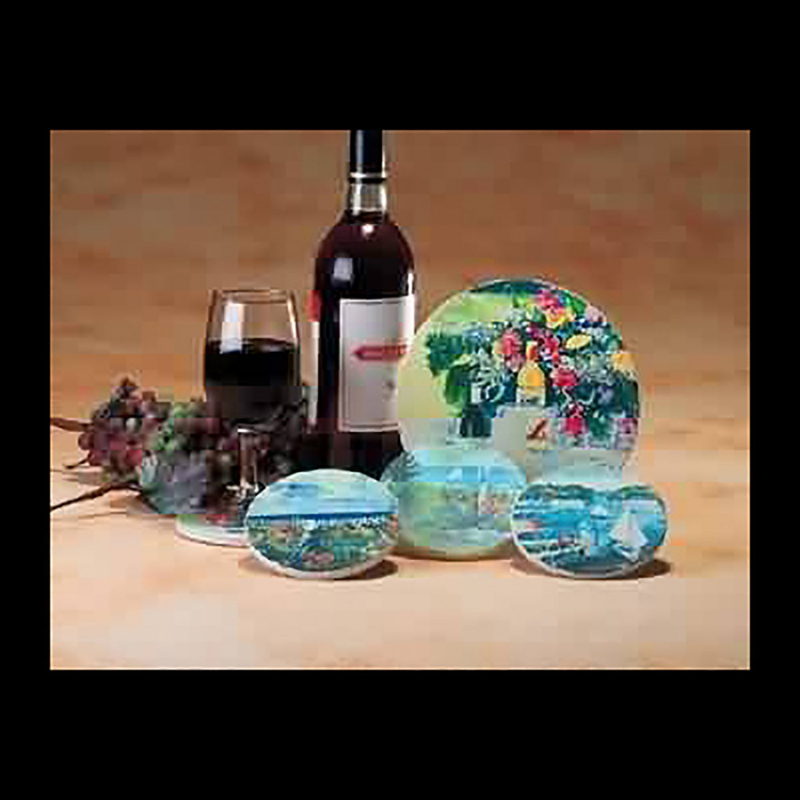 Sturdy DecorativeCoasters. Get yourCoasters here today. 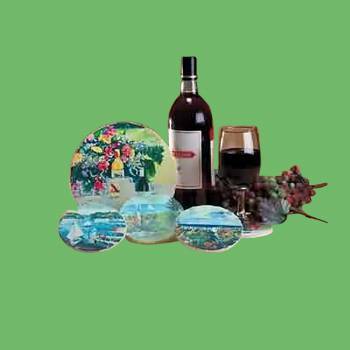 Wine trivet 7 in. dia. Coaster Set 4 in. dia. 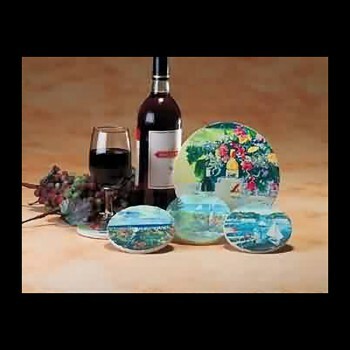 Wine Trivet and Coater Set of 4. On the patio, porch or inside, these colorful sandstone trivet and coasters shield tabletops from moisture and heat. 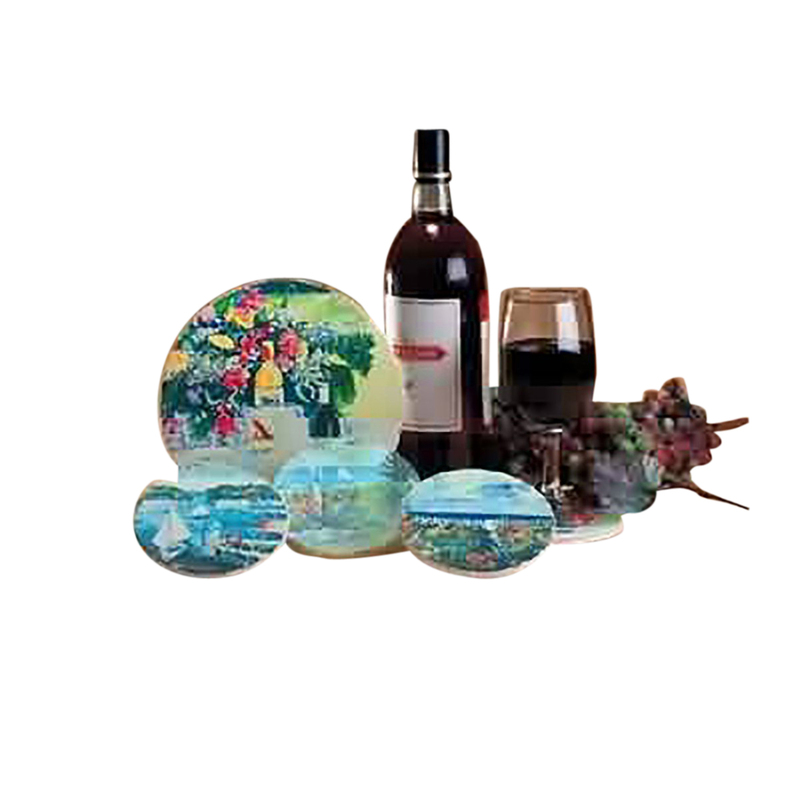 Coasters have a 4 inch diameter, trivet has a 7 inch diameter.